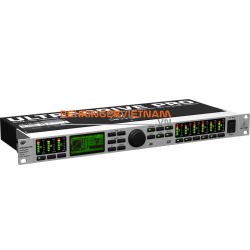 Box Dimensions (LxWxH) 18.11 x 8.661 x 3.465"
Bộ xử lý tín hiệu Behringer ULTRADRIVE PRO DCX2496 là sản phẩm của thương hiệu Behringer thuộc dòng Compressors/Limiters được nhập khẩu và phân phối chính hãng bởi Thiết Bị Âm Thanh Sân Khấu tại Việt Nam. 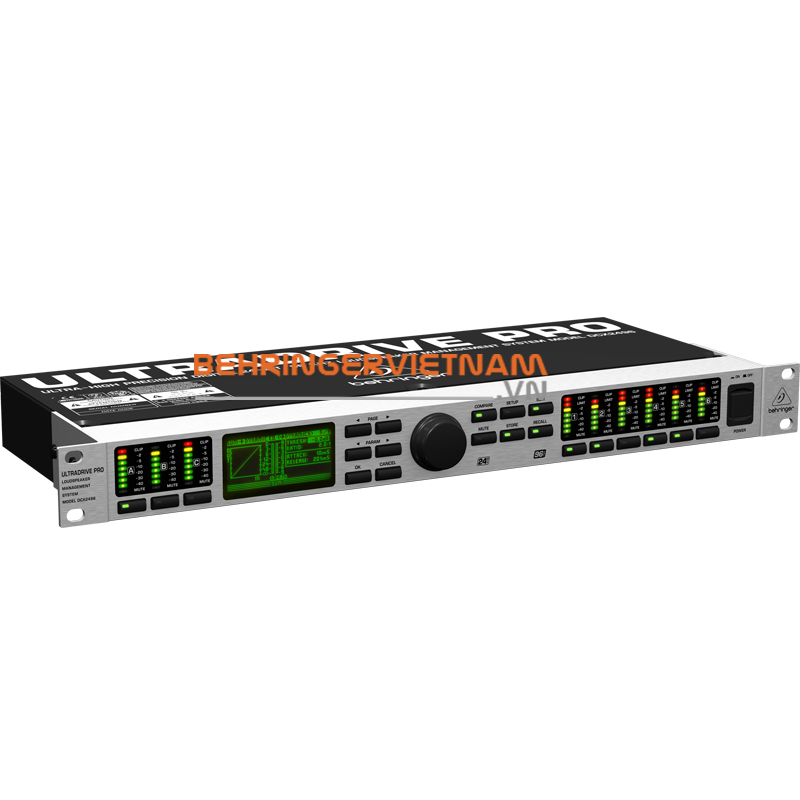 Ultra-High Precision Digital 24-Bit/96 kHz Loudspeaker Management System. 3 analog inputs (one suitable as digital stereo AES/EBU input) and 6 analog outputs for maximum flexibility. High-end 96 kHz converters for ultimate signal integrity and wide dynamic range (120 dB). Integrated sample rate converter for easy connection of external digital signals with sampling rates from 32 to 96 kHz. Precise Dynamic EQs for level-dependent equalization and extremely musical Parametric EQs, selectable for all inputs and outputs. Several types of EQs (LP/BP/HP) for each input and output. "Zero"-attack Limiters on all output channels for optimal speaker protection. Four different mono and stereo output operating modes. Individual crossover filter types (Butterworth, Bessel and Linkwitz-Riley) with selectable roll-off characteristics from 6 to 48 dB/octave. Adjustable Delays for all inputs and outputs—allow manual or automatic correction for room temperature, phase and arrival time differences. 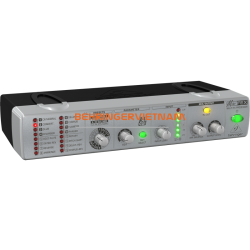 Additional Sum signal derived from the A/B/C inputs offers a fourth internal input signal. Free ULTRADRIVE PRO software enables total control via PC through RS-232 and RS-485 interfaces. Link option via RS-485 network interface enables cascading of several ULTRADRIVE PROs. 60 user-defined internal presets storable. Servo-balanced, gold-plated XLR connectors for all inputs and outputs. 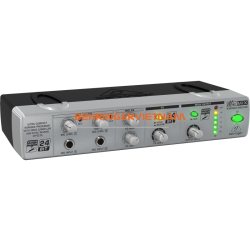 Internal switch-mode power supply for maximum flexibility (100 - 240 V~), noise-free audio, superior transient response plus low power consumption for energy saving. High-quality components and exceptionally rugged construction ensure long life. Conceived and designed by BEHRINGER Germany.